Illinois Feist Rescue View other Feists for adoption. All Trixie wants for Christmas is a real home who will love and care for her forever! 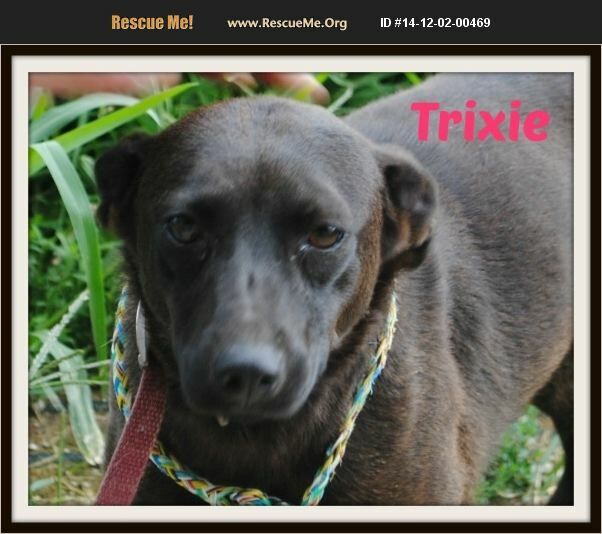 Trixie was dumped with her mom and siblings on a rural road and then in a no kill very rural shelter for a year with no socializing. She is shy of strangers, better in a home without children not because she's bad but because she wouldn't know how to act around them. Once she adjusted to being handled she was very easy to leash train, crate train and all around did great and has a more confident energetic personality then her 2 sisters. She tends to bark at things when she is outside or hears something, hunting dog personality. Quite when crated and in the house, but would probably bark at things outside a window if she could see something. She was intimidated by our bossy cat, current on vaccinations, spayed, and microchipped. She was heartworm negative when tested last year and has been on preventative. She's good with the dogs she is with but will be bossy with them if she can get away with it. She is dominant over her very shy, submissive sister. She really doesn't know any commands but would love someone who would like to teach her some fun tricks, and that there are other great people out there besides us. She is now almost 2 years old and weighs 28 pounds. Vet's phone number you use currently or in the past is required to adopt for a reference. We have 30 rescued dogs of all sizes all praying for a real home! Please do not consider a dog for Christmas unless you want a dog as a family member for its whole life.